Wire harness extensions are used to achieve extra length needed when locating a wall control further than the standard wire harness will allow. Enjoy a modern look and powerful interior with this fireplace, which provides a maximum BTU output ranging in considerable scope. 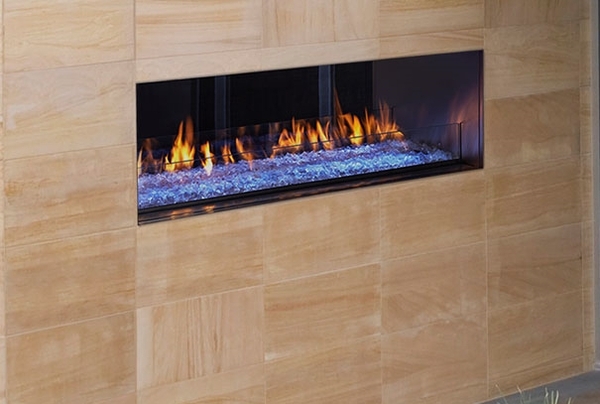 The standard glass wind guards prevent flame outages and buffeting. You'll enjoy a simple operation as well, since the, industry first, dual power screens open and close with the push of a button. The stainless steel interior will add an attractive appearance, amplifying the flame presentation as you relax in your hearth.